Looking for a new business venture? If explosive growth opportunities interest you, then the new franchise program offered by Big Box Storage Franchising, Inc. might be just for you. At Big Box Storage, we combine the stable, long term growth of the self-storage industry with the high convenience levels demanded by today's consumers. Big Box Storage Franchising, Inc. was founded in an effort to capitalize on the golden opportunities created by the rapidly growing portable storage industry. Via our franchise program, we are focused on expanding our portable storage network of committed entrepreneurs throughout the United States. After reviewing the information herein, should you have further interest in our franchise program, we'll be delighted to provide you with more insightful details. 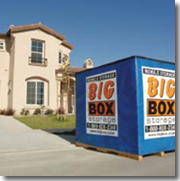 Big Box Storage Franchising, Inc. is presently seeking qualified franchisees in select markets across the United States for both individual and multi-unit opportunities. Potential franchise markets are limited to ones that possess a minimum population of 500,000 residents, although most of our defined markets are home to well over one million residents. Find out if your franchise market is still available today! Each franchisee is required to pay an initial franchise fee at the time of the franchise agreement signing. Such fee ranges from $45,000 to $70,000 and is based upon the estimated population of the franchisee's proposed protected territory. full-time basis, to the business. Thank you for your interest in Big Box Storage Franchising, Inc.—we look forward to accompanying you on this rewarding journey.